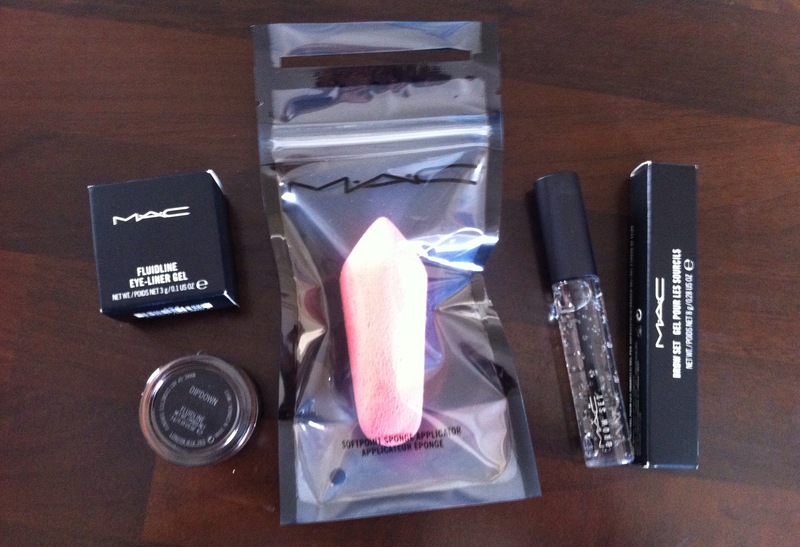 I know i’ve been AOL but really haven’t got a chance lately to post anything… I’m back now with a mini haul from MAC. Ok,soo… My eyebrows needed an update & after doing a bit of research to see what you girls are using lately I deceided to go for MAC Fluidline Eyeliner Gel in Dipdown as so far i’ve tried pencil, eyeshadow & dye for my Eyebrows. I use the MAC 263 angled brush to apply it. My review for this so far is 10/10 because is really creamy, easy to apply & the colour is very natural & ofcourse there’s lots in the pot! Lastly is a repurchase for my eyebrows again, the MAC brow set gel in clear. I use this to keep my eyebrows at bay… I have very fair brows but they tend to drop so i need this magic gel to keep them in place. Hope you all enjoyed it….